The Anaheim Ducks will try to avoid their longest losing streak in three years when they begin a four-game homestand against the San Jose Sharks on Sunday evening at Honda Center. The Ducks (5-5-1) have lost four straight to erase a promising 5-1-1 start. They haven't dropped five in a row since a 0-4-1 stretch on Oct. 22-29, 2015. Anaheim beat San Jose 5-2 in the season opener for both teams on Oct. 3. That served as a springboard for early success, but the Ducks have hit a wall in the past week, getting outscored 15-6 in the current losing streak. "We have to figure it out in our room," Anaheim defenseman Josh Manson told reporters after a 5-2 loss at the Dallas Stars on Thursday night. "Look in the mirror and pull ourselves out of it." The Sharks, meanwhile, have gone 3-0-1 after a 2-3-1 start. They nearly ran their winning streak to four games on Friday night but couldn't hold leads of 2-0 and 3-1 before losing in a shootout at the Carolina Hurricanes. "What a tale of two games," Sharks coach Peter DeBoer told reporters afterward. "I walked out at the end of the first period. I thought we could have been up 4-0, and then we never won another race or battle or shift the rest of the night." San Jose's three-game road trip concludes in Anaheim. Even during the Ducks' hot start, they had a major disparity between the amount of shots on goal they were taking and the number they were giving up. That gap has grown even wider as Anaheim currently allows the most shots on goal per game in the NHL at 38.2 while taking the fewest (24). "All of us, collectively, can play better," Manson said. "We really have to take a hard look at ourselves here." A good sign from the loss to the Stars on Thursday night were the two goals scored by center Ryan Getzlaf, his first of the season. 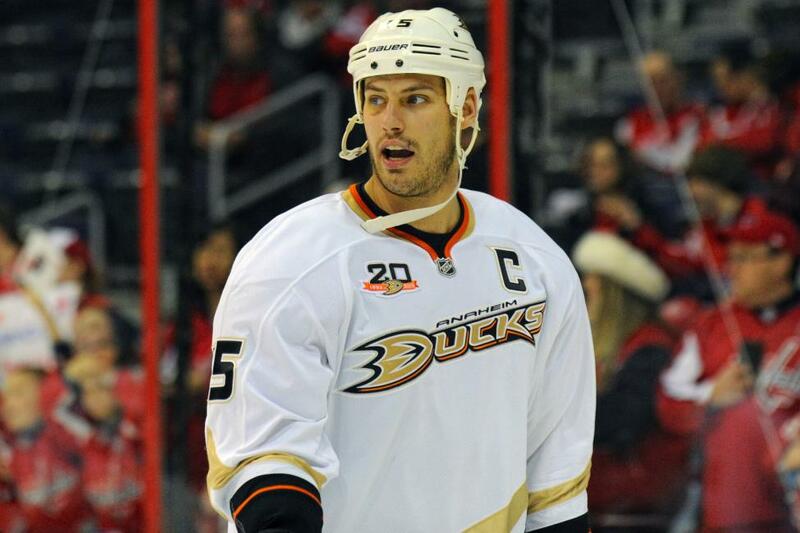 Getzlaf had two assists in the season-opening win over the Sharks but sustained a groin injury three nights later at the Arizona Coyotes and missed the next five games. Anaheim hasn't won since Getzlaf rejoined the lineup on Oct. 20 at the Vegas Golden Knights. Anaheim also recently added left winger Nick Ritchie, who ended a holdout by signing a three-year contract on Oct. 18. He made his debut on Tuesday in a 3-1 loss at the Chicago Blackhawks but sustained an upper-body injury against Dallas and could be out of action against the Sharks. San Jose could be without center Tomas Hertl, who didn't come out for the third period against the Hurricanes because of an undisclosed injury. Hertl has nine points in nine games. DeBoer told reporters after Friday's loss that Hertl is day to day. "He's been dealing with something here most of the year," DeBoer said. "He's been playing through it and he just reaggravated it."